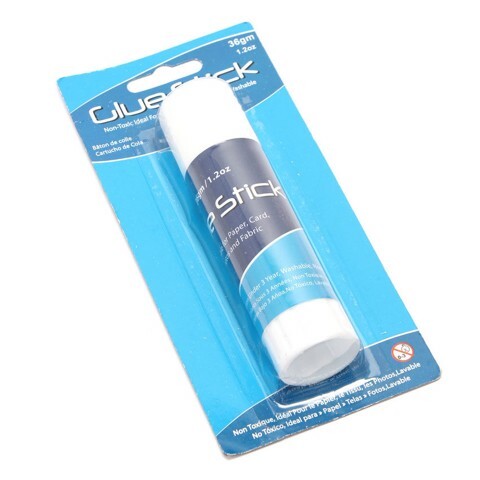 Glue Stick Jumbo 36G. Tube: 10.4 x 3cm Diam. White And Blue Tube. Polyvinyl Alcohol. 66G Packaging: Backing Card.